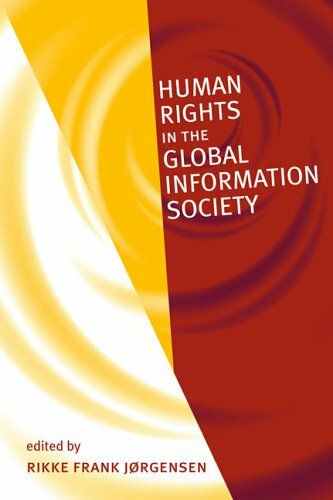 Does the information society help to advance human rights or does it threaten them? This book offers interdisciplinary perspectives on information technology as a global policy issue. It discusses such topics as freedom of expression, access to information, discrimination, gender equality, and political participation. Gerry Stahl is Associate Professor in the College of Information Science and Technology, Drexel University. He is founding coeditor of the International Journal of Computer-Supported Collaborative Learning.Rikke Frank Jï¿½rgensen is Senior Adviser at the Danish Institute for Human Rights and adviser to the Danish Delegation to the World Summit on the Information Society. She is on the boards of Digital Rights (DK) and European Digital Rights (EDRI). William J. Drake is a senior associate with the Centre for International Governance at the Graduate Institute of International and Development Studies in Geneva, Switzerland. Ernest J. Wilson III is Professor of Government and Politics at the University of Maryland, College Park, and Senior Advisor to the Global Information Infrastructure Commission. He is the coeditor of National Information Infrastructure Initiatives (MIT Press, 1997).